North Korea’s dictator Kim Jong-Un responded forcefully to President Donald Trump’s UN speech, vowing to make the United States “pay dearly” for it. 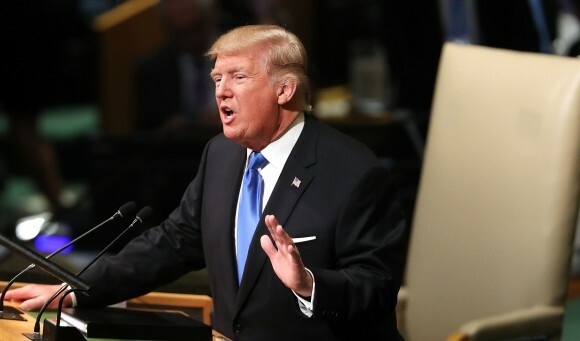 In his speech on Tuesday, President Trump called out the North Korea regime for its continued development of nuclear weapons and ballistic missiles. Trump’s comments echoed those of Defense Minister James Mattis who said earlier this month that the United States has the capability to completely destroy North Korea if needed, and that he had provided the president with detailed briefings on all of the options. 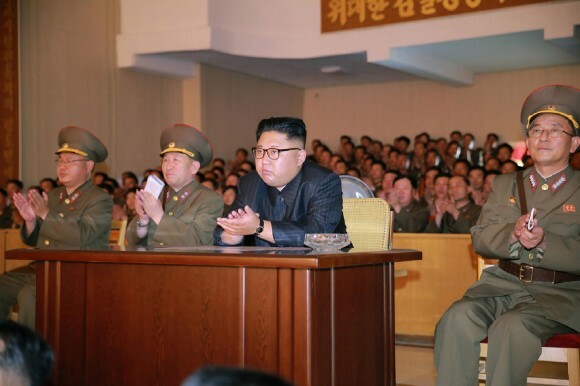 “We are not looking to the total annihilation of a country, namely North Korea. But as I said, we have many options to do so,” Mattis said on Sept. 3. 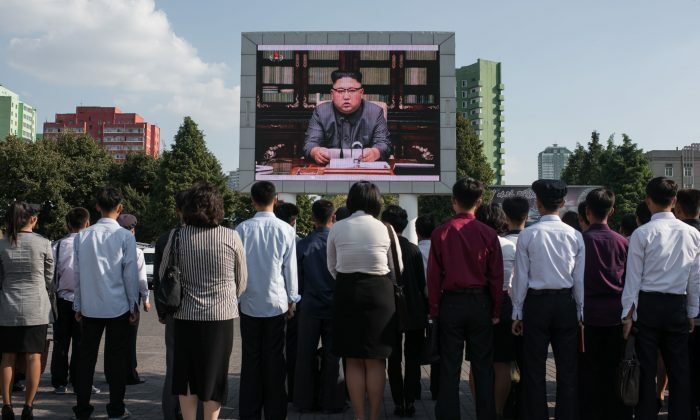 North Korea’s communist dictatorship shocked the world earlier this month with the test of a new nuclear bomb, which is estimated to have been multiple times stronger than the atomic weapons used on Japan in World War II, and its launch of two ballistic missiles over Japan in less than a month. Complicating North Korea’s military threat and the U.S. response to it is the large arsenal of conventional and chemical weapons that the North has at its disposal against U.S. ally South Korea. The regime is estimated to have over 14,000 pieces of artillery in its possession, many of which are strategically located in bunkers in the mountains on the border with South Korea. 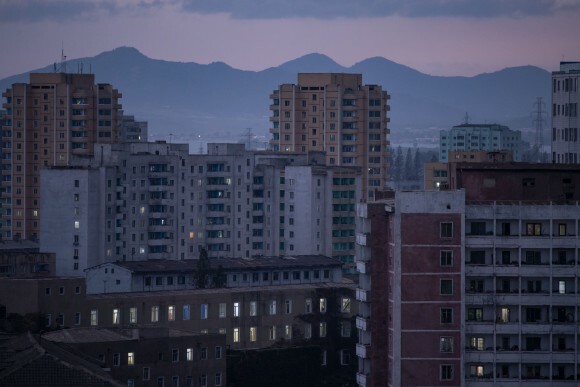 With South Korea’s capital located just 35 miles from the border, the North could wreak devastation on the city, which has a population of over 25 million in its metropolitan area. In his statement, Kim seemed surprised by Trump’s threat of destroying North Korea completely, saying that it went beyond the usual threat of regime change. Trump’s threat of military action and his unwillingness to back down in the face of North Korean nuclear and missile tests are indeed in contrast to the positions held by previous U.S. presidents. Trump has said on multiple occasions that the strategy of talks with North Korea, which have lasted now for over 20 years, are not working. He has also said that previous U.S. presidents allowed the North to develop its nuclear weapon. Under the diplomatic Joint Framework Agreement reached by President Bill Clinton in 1994, the north was provided aid, including two light nuclear reactors, in exchange for it ending its nuclear weapons program. However, the North never stopped its nuclear program, and instead has developed nuclear weapons—including a miniaturized nuclear warhead, according to an analysis by the Defense Intelligence Agency—and the missile technology needed to deliver it. In addition to Kim’s statement, a separate article published by North Korea’s state media seemed equally at unease with Trump’s strong stance. The article, which starts off by describing the speech as “rubbish,” goes to great lengths to cite media critical of Trump, such as The Washington Post, CNN, The Guardian, as well as Hillary Clinton, in an attempt to denounce the speech. However, the underlying message it appears to be giving is one of disbelief that a U.S. president is not backing down and is making such a forceful threat. “The international community is raising voices of denunciation, being deeply concerned about such outbursts and wild words as “total destruction” of a sovereign state, not just “overturn of social system” and “regime change,” he said. For North Korea, the threats to overturn of the social system and “regime change” have long been in their comfort zone, as they did not expect a U.S. president to actually act militarily against them. It appears now they see a real threat from Trump, which might actually propel them to act. 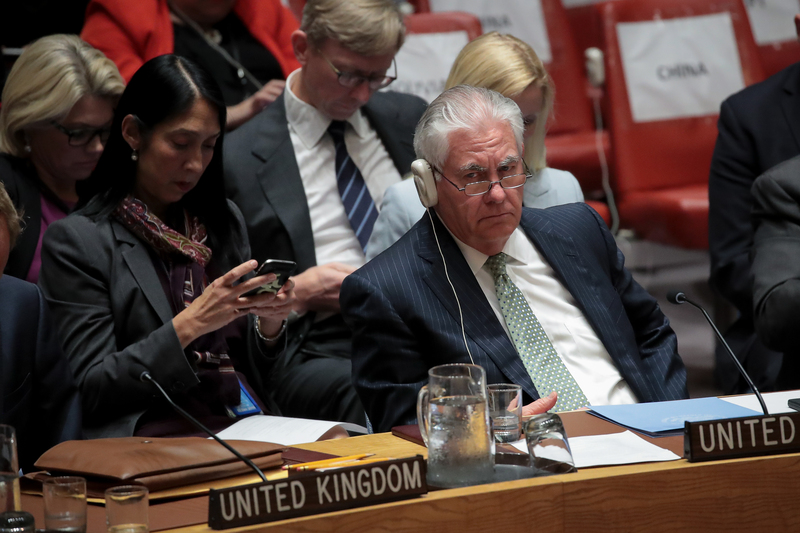 Earlier this month the U.N. Security Council passed a new resolution with sanctions on North Korea. The sanctions prohibit all natural gas sales to the North, and limit the amount of refined and crude oil sales. Secretary of State Rex Tillerson said on Wednesday that there are indications that the new sanctions are working, despite the North having had time to hoard fuel supplies. The United States had pressed for a complete ban on oil sales to the North but received pushback from China and Russia. On Thursday President Trump announced additional sanctions by the United States that target companies and financial institutions that are large trading partners and suppliers of finance to the North. Trump’s Ambassador to the U.N. Nikki Haley has said that the U.S. will try to exhaust all diplomatic means, but has military options if needed. “We wanted to be responsible and go through all diplomatic means to get their attention first. If that doesn’t work, Gen. Mattis will take care of it,” Haley told CNN earlier this month. Kim’s Foreign Minister Ri Yong Ho said that the North is considering testing “an unprecedented scale hydrogen bomb” over the Pacific in response to U.S. President Donald Trump’s threat at the United Nations to “totally destroy” the country. “It may mean North Korea will fire a warhead-tipped [intermediate range] Hwasong-12 or Hwasong-14 intercontinental ballistic missile and blow it up a few hundred kilometers above the Pacific Ocean,” said Yang Uk, a senior researcher at the Korea Defence and Security Forum in Seoul. Tests of nuclear-tipped ballistic missiles are rarer still. The United States’ only test of an operational ballistic missile with a live warhead was fired from a submarine far out in the Pacific Ocean in 1962.